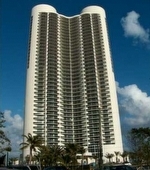 The Ocean Four Condominium Residences and condos in Sunny Isles Beach. 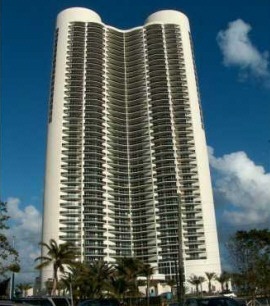 One of the newer luxury oceanfront condominium towers to be built in beautiful Sunny Isles Beach. A breathtaking oceanfront and beachfront location with stunning views of ocean, Intracoastal, coastline, beach and cityscapes. 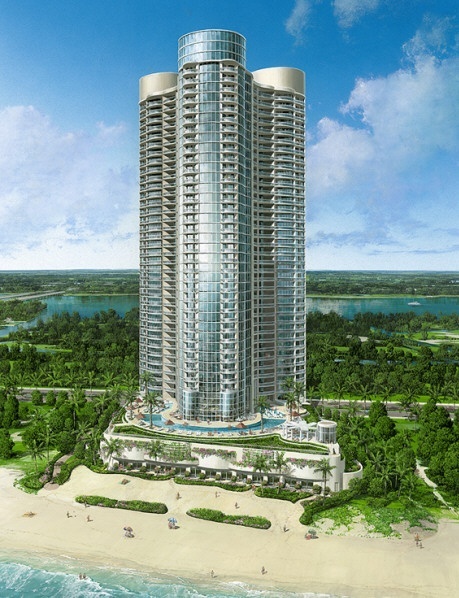 With the unveiling of Ocean Four, Florida's premier luxury developer has once again realized a dream. Coming on the heels of developing Ocean One, Ocean Two and Ocean III, the Related Group has created an entire collection of sensational Sunny isles Beach oceanfront luxury condominium properties. Similar in style to Ocean Three, there are a number of upgrades to Ocean Four, as the Related Group has made with all of their construction projects. Acclaimed equally for their flowing floor plans, panoramic ocean views and all-encompassing amenities, each of these 4 Sunny Isles Beach oceanfront properties also possesses a personality that is uniquely, all its own. Within the walls of their new homes, residents of Ocean Four find finishes made of imported marble and granite, custom-designed Italian kitchens and spacious floor-to-ceiling windows offering incomparable, breathtaking views. This superbly positioned condominium located on the beach just off of Collins Ave offers astounding direct ocean and wide bay views. 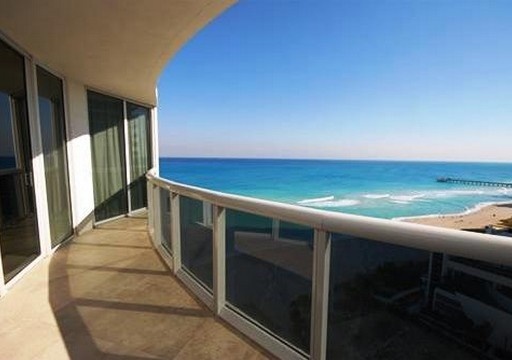 Ocean Four is located in the heart of Sunny Isles Beach directly on the ocean. 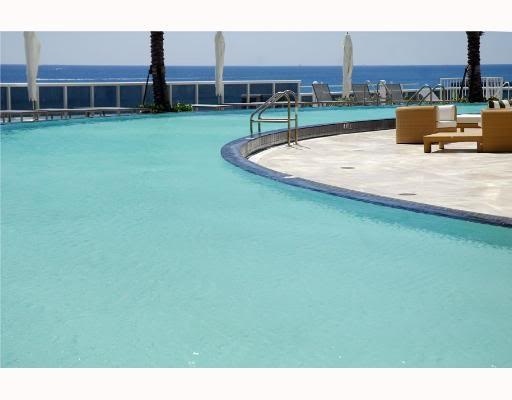 Ocean Four offers a multitude of views and amenities to choose from. Units in Ocean Four range in size from 1,300 to 3,000 square feet and offer beautiful ocean, city and Intracoastal views. 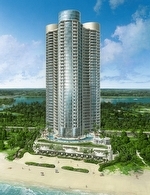 Ocean Four condominium residences soar from the sands of Sunny Isles Beach towards the sky standing tall at 45 stories. Featuring just 264 residences. Priced from the mid $400k's to over $4m. Your opportunity to live in paradise is right here, contact Linda G for more information for Ocean Four in Sunny Isles Beach. 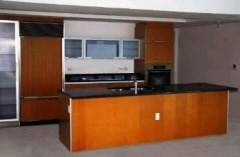 2,755 sq. ft. under air / 256 sq. ft. of Terrace = 3,011 total sq. ft.
1,396 sq. ft. under air / 186 sq. ft. of Terrace = 1,582 total sq. ft.
1,644 sq. ft. under air / 186 sq. ft. of Terrace = 1,830 total sq. ft.
1,886 sq. ft. under air / 391 sq. ft. of Terrace = 2,277 total sq. ft.
1,583 sq. ft. under air / 391 sq. ft. of Terrace = 2,277 total sq. ft.
1,583 sq. ft. under air / 287 sq. ft. of Terrace = 1,870 total sq. ft.
1,301 sq. ft. under air / 264 sq. ft. of Terrace = 1,565 total sq. ft.
1,301 sq. ft. under air / 264 sq. ft. of Terrace - 1,565 total sq. ft.
3,018 sq. ft. under air / 569 sq. ft. of Terrace = 3,587 total sq. ft.